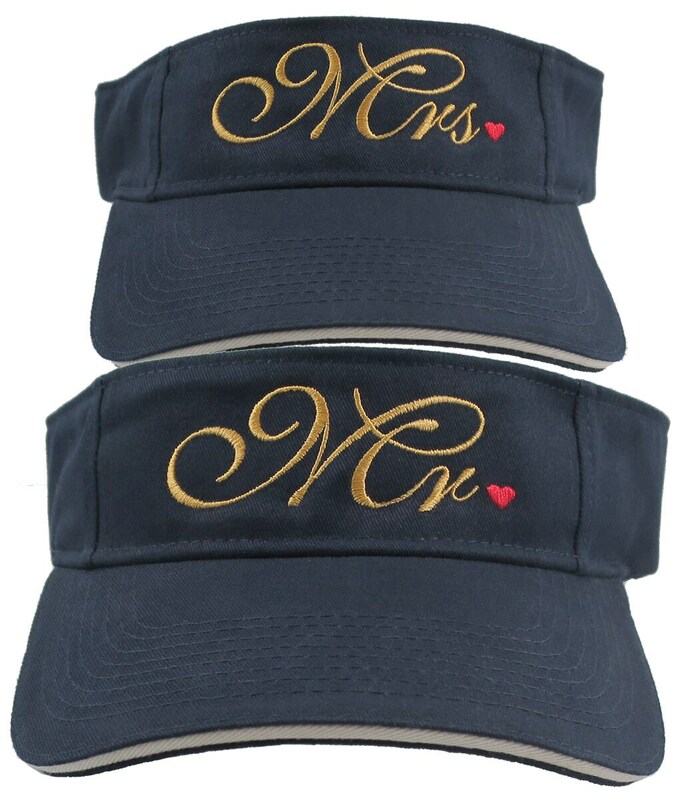 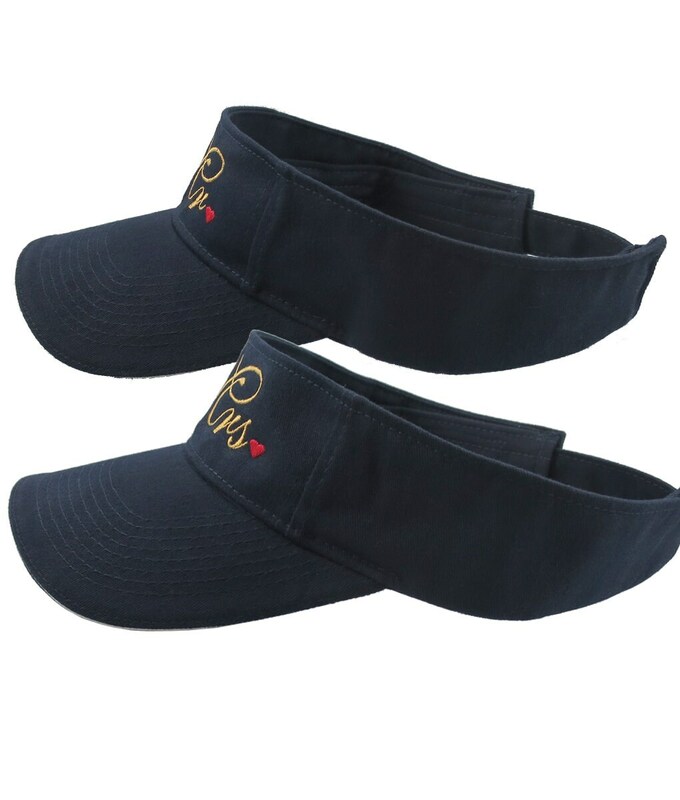 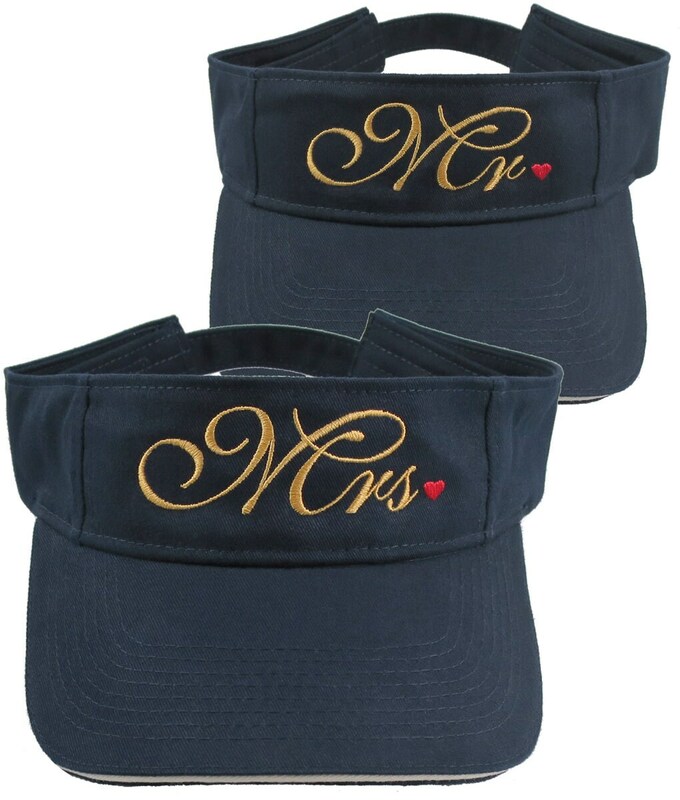 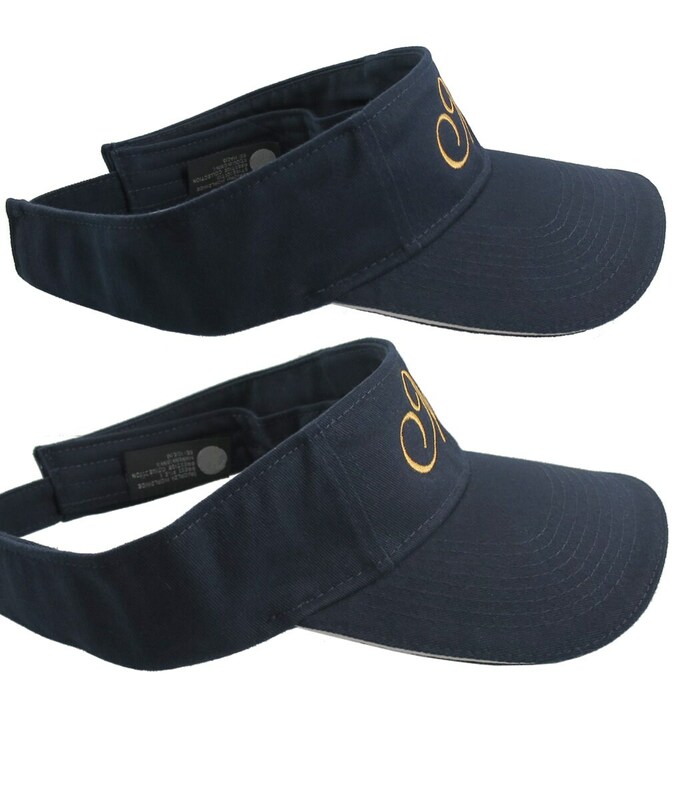 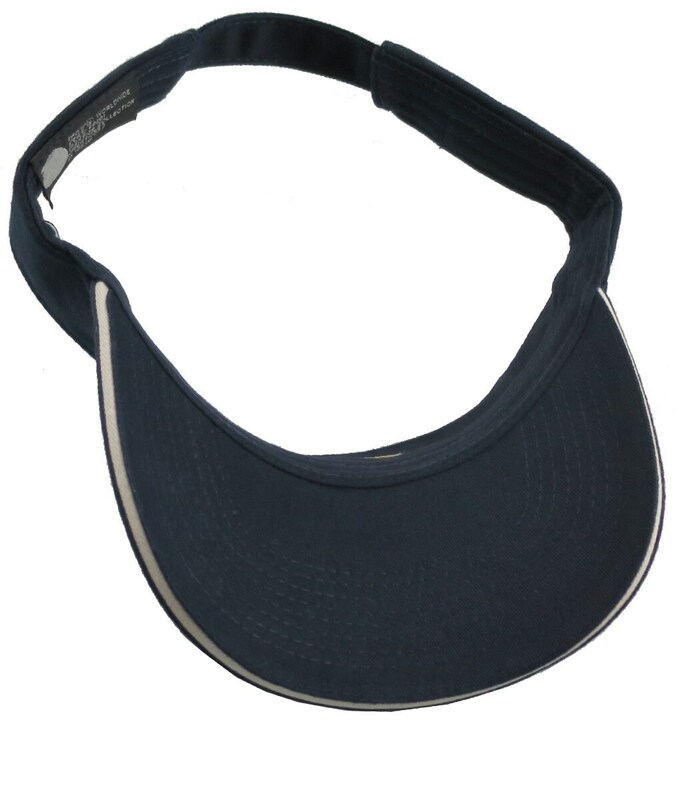 A set of 2 visors in navy blue. 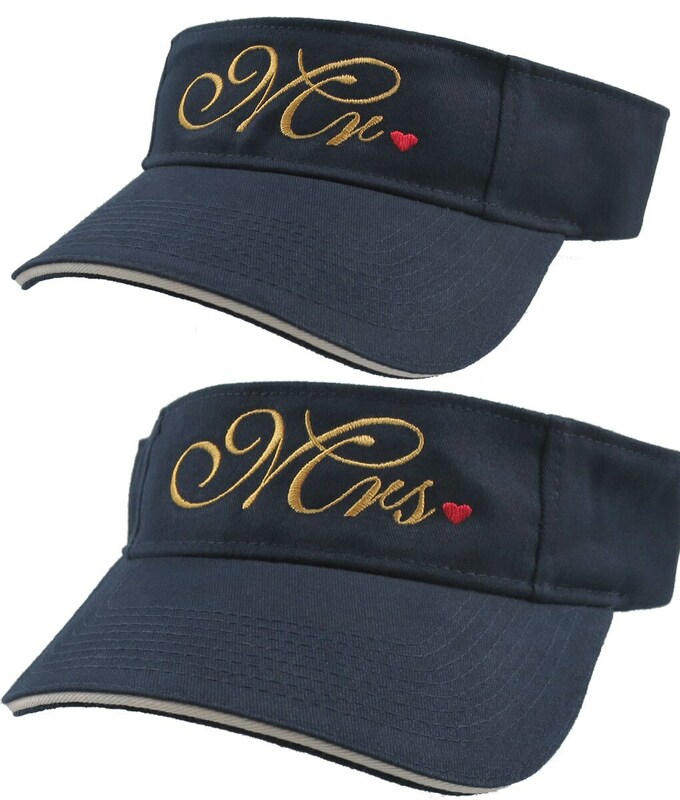 A Mr. and a Mrs. embroidered with a red heart dot. 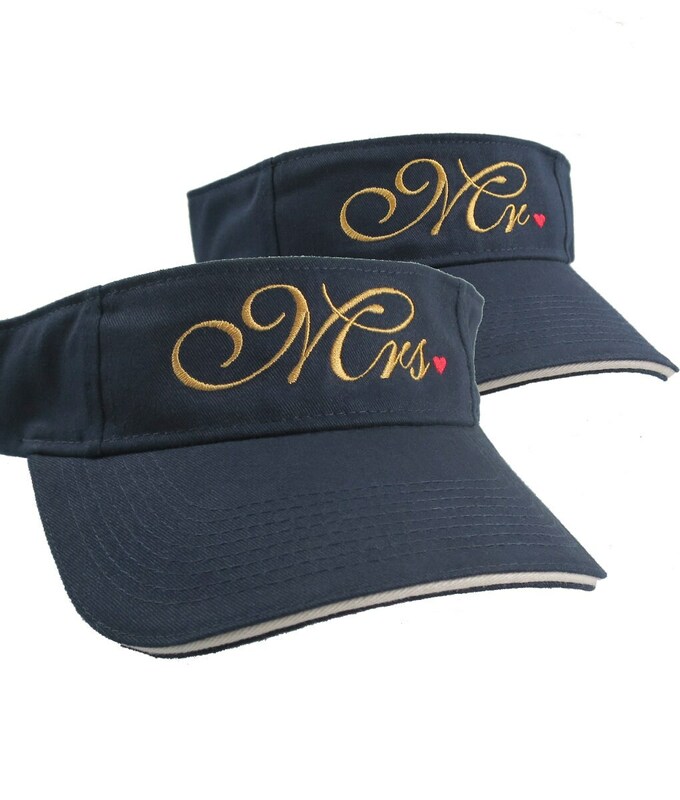 A set of elegant visors which are sure to make a statement, on or off the wedding party.